BibleSearchers.com affirms the Mission of the Kol HaTor Vision in recognizing that over the Centuries there has been erected a great Stumbling Block of Evangelizing the Jewish People, by Christians, to the Apostate Roots of the Roman Christian faith. Today the Prophetic Streams of the Prophets of Israel and Judah unanimously affirm the Biblical prophecies of the Return of the Lost House of Israel and their Restoration with their Cousins in the House of Judah. This was the Divine Mission of Yahshua HaMashiach (Jesus the Messiah) Who came to this Planet as the Divine Human Manifestation of HaShem, the God of Abraham, Isaac, and Jacob. 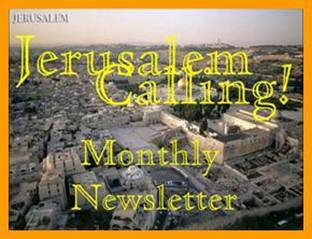 “Jerusalem Calling” is designed especially for those who affirm that they are the “Lost Tribes of the House of Israel” and seek NOT to Proselytize but to Unite, be Restored with the Jewish People in their Common Historic Roots of the Hebrew-Judaic faith founded on the Torah as it was practiced by Yahshua HaMashiach according to the Jewish Halakhah and the Mechoqeck (Rabbinic Authority). Together they will be Redeemed as “United Israel” under the Rule of the Coming Messiah.